CBD medical marijuana laws: How practical are they? Spurred by the stories of epileptic children being treated in Colorado with cannabis oil, lawmakers across the country this year have made a dramatic change in how they talk about marijuana. Thus far, nine states have passed laws legalizing either the use of non-psychoactive marijuana extracts for medical treatment or the study of such products. The slate of states — Alabama, Florida, Iowa, Kentucky, Mississippi, South Carolina, Tennessee, Utah and Wisconsin — reads in part like a list of states previously most resistant to changes in marijuana laws. In another two states, Missouri and North Carolina, the legislatures have passed bills that need only a signature from the states’ respective governor. Advocates both for and against changes to marijuana policies continue to debate whether the laws will have any practical impact. But the new laws represent an ongoing rebellion of states from the federal government’s current position that marijuana has no accepted medical use. “I think it validates this as medicine,” said Paige Figi, one of the founders of the Realm of Caring, which gained fame in a pair of CNN documentaries for producing non-psychoactive marijuana oil. 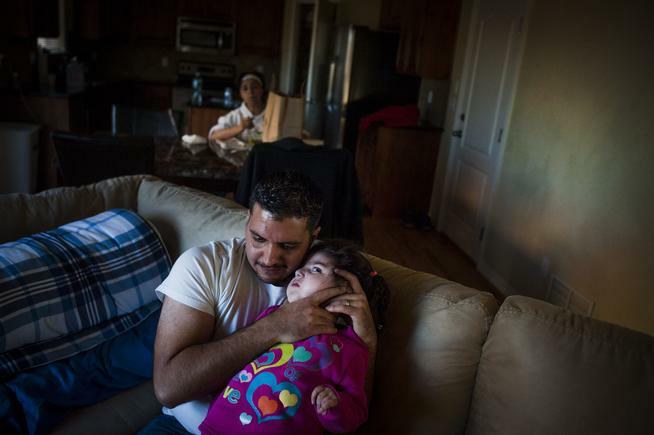 Figi’s daughter, Charlotte, suffers from severe epilepsy, but she has received relief by using an extract made from marijuana plants that is high in a chemical called CBD and low in the psychoactive component of marijuana, THC. The most famous variety of marijuana from which the oil is made, Charlotte’s Web, is named after Charlotte Figi. “It’s very important, these little baby steps with CBD bills,” said Paige Figi, who has testified in support of several of the bills. Conclusive research on the efficacy of CBD to treat epilepsy or other conditions is still in the works, but its potential has generated tremendous interest among parents whose children’s seizures are not controlled by current medicines. Hundreds of families have moved to Colorado for the oil, which is currently available only through the state’s medical marijuana system. While all of the new laws across the country embrace the possible therapeutic use of CBD, they vary widely in the details. Laws in Florida and the pending bill in Missouri would allow CBD-rich marijuana to be grown in those states. Others legalize possession of CBD but don’t specify a source. Some require universities to produce or supply CBD, while others — such as Alabama’s — allow only research programs. Those limitations mean traditional marijuana reformists have kept the laws at arm’s length, worried about forestalling bigger changes while simultaneously supporting the sentiment behind the laws. Colorado facts: Find out how many millions of dollars the state is allotting to research and clinical trials. Plus nine other facts about Colorado marijuana, six months into 2014. “The bills are so limited and drafted in a way as to likely be practically and legally impossible to implement and therefore will be symbolic only,” Tamar Todd, a senior staff attorney with the Drug Policy Alliance, wrote in an e-mail. Figi, who said she supports broader medical marijuana legalization, said the laws could be a “stepping- stone” to laws that would allow treatment for more conditions. Those opposed to medical marijuana legalization have likewise approached the bills with ambivalence. Kevin Sabet, who works with the national group Smart Approaches to Marijuana, said no one wants to keep parents from accessing treatment that may help their children. But, he said, the new laws may offer false hope to patients and said the safer solution is for federal regulators to allow more controlled trials of marijuana-derived pharmaceuticals. One such trial has about 300 patients across the country. A preliminary study of a handful of those patients suggested a CBD medicine could be effective in treating seizures — similar to other surveys that have found many, but not all, patients using CBD-rich marijuana like Charlotte’s Web have seen a benefit. “Simply saying we can solve the issue by passing legislation allowing one to go to Colorado, buy CBD from who knows where, and come back to your home state is not a sustainable solution,” Sabet wrote in an e-mail. Federal officials appear to have taken notice of the new debates about marijuana as medicine. In addition to authorizing the trial, the Food and Drug Administration has recently begun the first step in evaluating whether marijuana should be placed in a less-restrictive category of drugs, an FDA official told members of a congressional committee this month. Marijuana is currently a Schedule I substance, meaning it is not considered to have any medical use and research on it is difficult. Map: An interactive look at marijuana laws across the U.S.
Figi said the need for high-CBD treatment is urgent, citing the more than 9,000 names on a wait list for Charlotte’s Web. The Realm of Caring plans to produce more oil this year under the Colorado Department of Agriculture’s hemp program. That’s possible because the program defines hemp — the taxonomic twin of marijuana — only as low in THC. Because hemp has fewer restrictions than marijuana, Figi said the Realm of Caring might be able to send Charlotte’s Web oil to patients in states with CBD laws, greatly reducing the wait list. “We do believe it will be shippable,” she said.